Click on the picture to see a larger size image. Poster © Faina Letoutchaia, 2015. The left picture on the wall is an art print of the photograph “white trash beautiful” by an extraordinary photographer Sabrina Cichy. 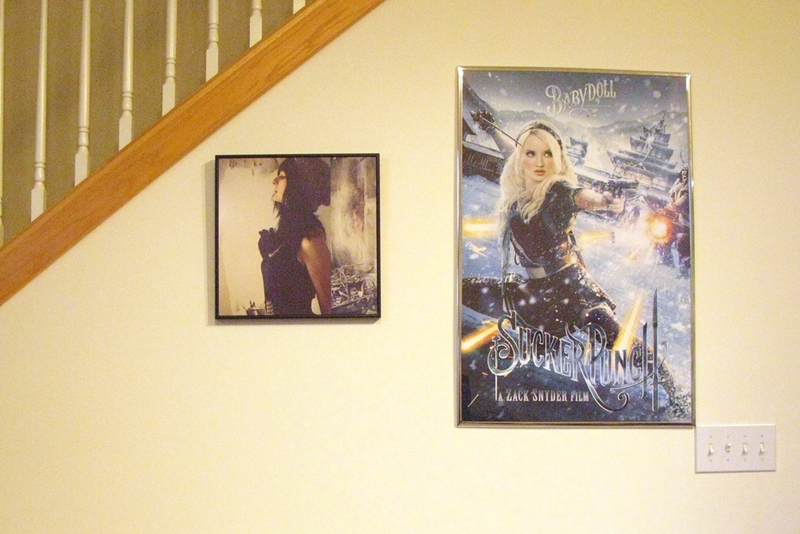 The right picture is one of the posters for the brilliant but / hence not appreciated movie Sucker Punch by Zack Snyder with Emily Browning in the leading role. © Nikolai V. Ivanov, 2012.